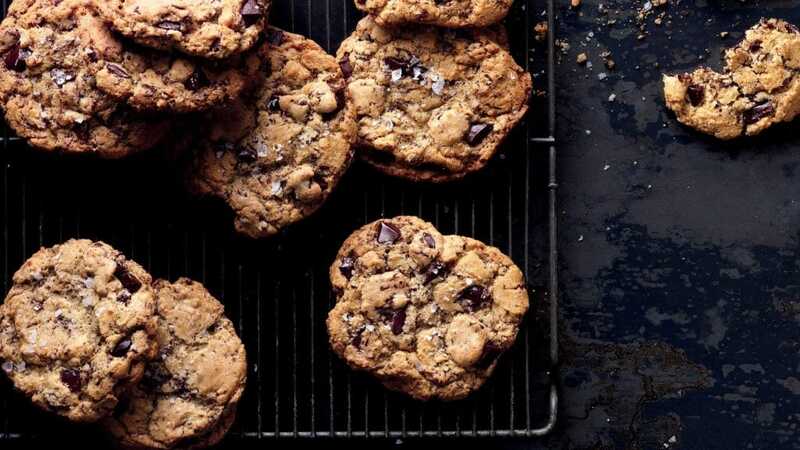 This wonderful chocolate chip cookie recipe from Bon Appétit uses flaky salt to bring out the chocolate flavour and temper the sweetness, creating the ultimate sweet and salty snack. Place racks in upper and lower thirds of oven and preheat to 190C. Whisk flour, baking powder, kosher salt, and baking soda in a medium bowl; set aside. 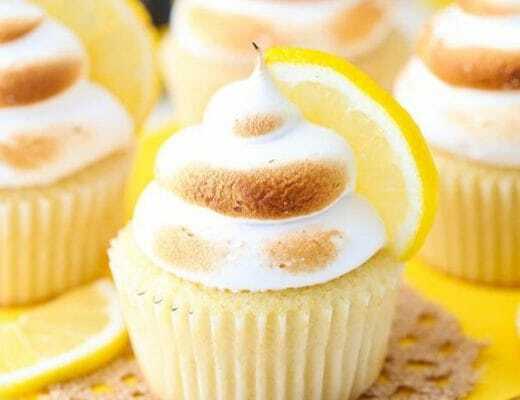 Using an electric mixer on medium speed, beat butter, brown sugar, sugar, and powdered sugar until light and fluffy, 3-4 minutes. Add egg yolks, egg, and vanilla. Beat, occasionally scraping down the sides of the bowl, until mixture is pale and fluffy, 4-5 minutes. Reduce mixer speed to low; slowly add dry ingredients, mixing just to blend. Using a spatula, fold in chocolate. Spoon rounded tablespoonfuls of cookie dough onto 2 parchment paper-lined baking sheets, spacing 1-inch apart. 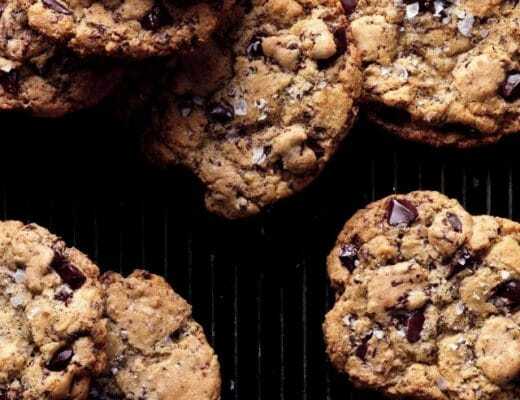 Sprinkle cookies with sea salt. Bake cookies, rotating sheets halfway through, until just golden brown around the edges, 10-12 minutes (the cookies will firm up as they cool). Let cool slightly on baking sheets, then transfer to wire racks; let cool completely.